Minkes being slinky out east of Salmon Bank, in the Strait of Juan de Fuca! From about 3pm to 4 pm, 2 or 3 Minkes on long dives, unpredictable surfacings, (that’s why I say slinky; hard to ID individuals, know where they may come up to breathe again, or get a photo!) Their movements make sense if you imagine them chasing the fish. Another sunny day, waters calm even with strong flooding tide! 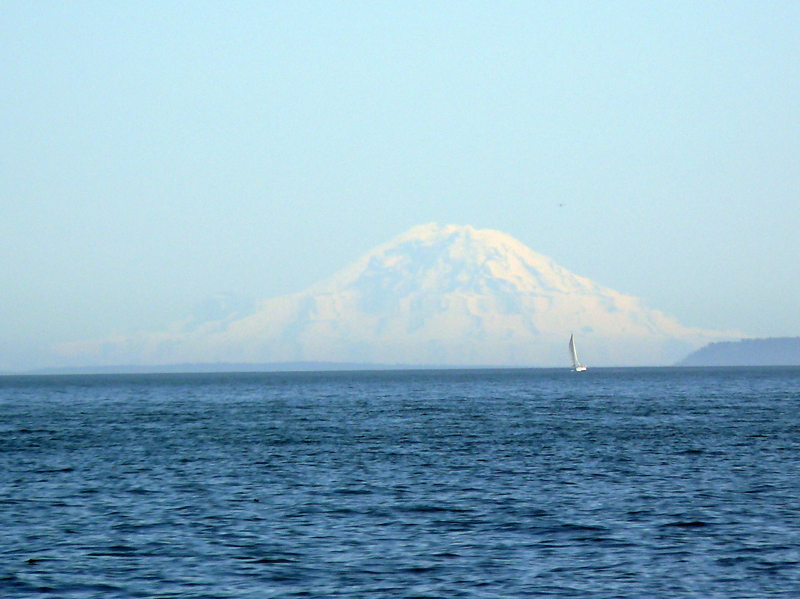 The skies were so clear we could see Mt Rainier behind Seattle, more than 90 miles away!